US-based SUBKLINIK celebrates its 20 years of existence with the release of a new album "Monotheistic Entrance Of Seclusion". 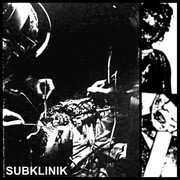 SUBKLINIK, once a member of the legendary Slaughter Productions roster, is one of the longest running Dark/Black Ambient-Death Industrial entities in the US, and zero end in sight. This is the sound of your nightmares.